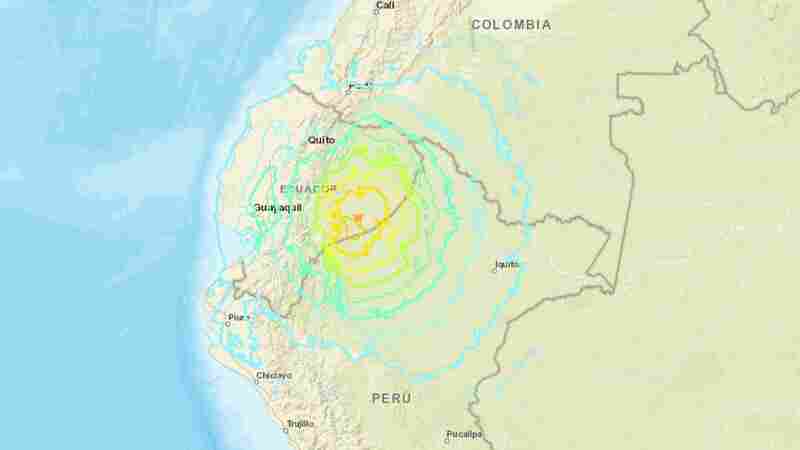 February 22, 2019  The earthquake's epicenter was far inland, away from the country's main highways that run along mountain ranges. 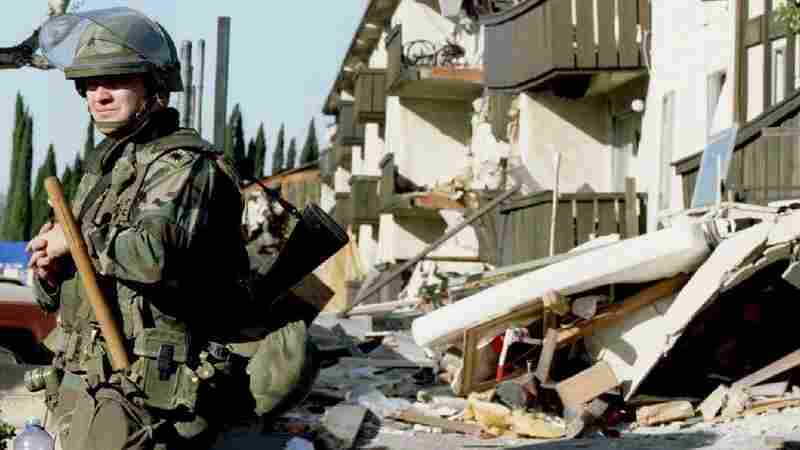 25 Years After The Northridge Earthquake, Is LA Ready For The Big One? January 17, 2019  On Jan. 17, 1994, a 6.7 magnitude quake rocked the suburbs north of Los Angeles, leaving 57 dead and causing more than $43 billion in damage. Officials worry LA isn't ready for the next big quake. 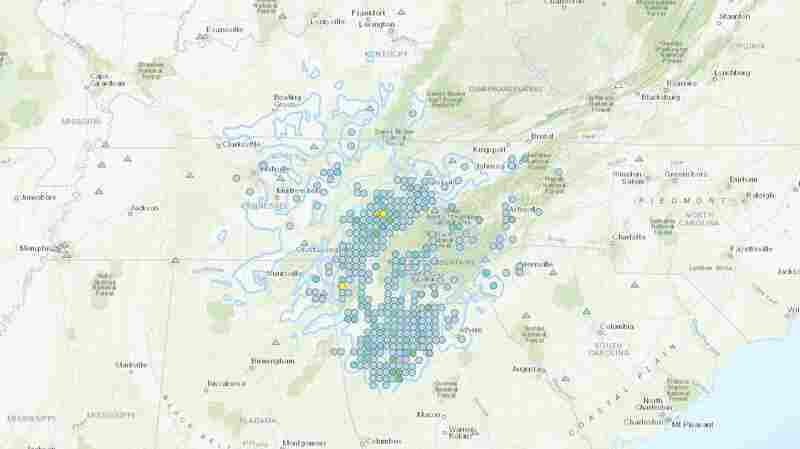 Quake-Up Call: Magnitude 4.4 Temblor Rattles People Out Of Bed Across Southeast U.S.
December 12, 2018  The earthquake struck eastern Tennessee before dawn Wednesday. As mild as it was, its effects were felt from eastern Kentucky all the way to Atlanta. 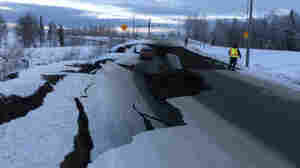 November 30, 2018  The earthquake, with its epicenter just a few miles off Anchorage, has been followed by a series of aftershocks. The Trans Alaska Pipeline System has been shut down. October 11, 2018  They were separated in the chaos after the earthquake and tsunami. There's still hope that families can be reunited — but many obstacles loom. 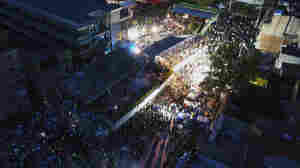 September 28, 2018  People had gathered for a beach festival when a tsunami hit Indonesia's Sulawesi island. 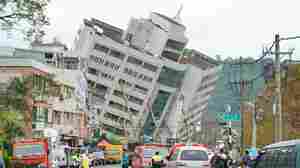 Thousands of buildings collapsed, Indonesian officials said. 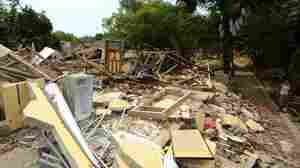 September 5, 2018  At least 300 people are injured and more than 30 missing on the northern island following the 6.7-magnitude temblor. 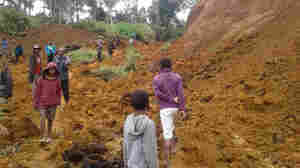 Officials fear people are trapped inside homes destroyed in landslides. August 9, 2018  Damaging aftershocks continue to shake the island of Lombak, which suffered a deadly earthquake on Sunday. 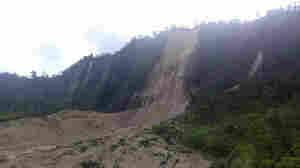 Rescue workers are struggling to reach the injured in some remote areas. 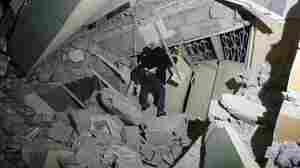 August 5, 2018  At least 91 people are dead after a 6.9-magnitude earthquake struck the northern part of the island on Sunday. It's the second powerful quake in a week to hit the region. June 18, 2018  The temblor caused severe damage to roads, bursting water mains and setting fires across the prefecture. Crumbling concrete walls killed two people, while another was struck by a bookshelf. 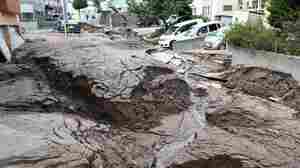 May 6, 2018  More than 1,700 people have evacuated from a neighborhood on Hawaii's Big Island following a volcanic eruption last week. 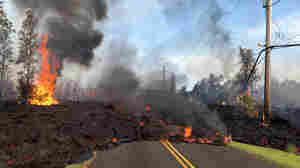 Ground fissures continue to spew lava and gas into residential neighborhoods. 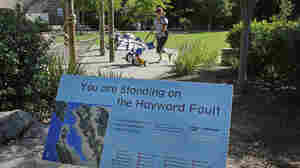 April 20, 2018  The U.S. Geological Survey simulated a 7.0 magnitude earthquake on the Hayward Fault near Oakland, Calif., and found that such a quake could kill hundreds and cause more than $100 billion in damage. 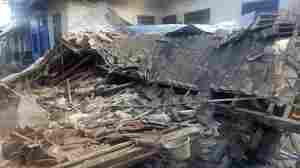 March 1, 2018  A 7.5 magnitude earthquake struck in the country's isolated interior on Monday, triggering landslides. 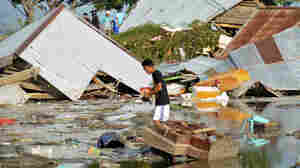 Days later, rescuers are still working to reach some remote communities. February 27, 2018  The 7.5 magnitude temblor rocked the central highlands in the half-island Pacific nation early Monday. Phone lines are down and roads are blocked, making a full assessment of the remote area hard. February 17, 2018  No deaths had been reported as a direct consequence of the 7.2 magnitude earthquake that struck central and southern Mexico earlier Friday. February 7, 2018  One day after a major earthquake hit the island, killing at least 10 people and leaving dozens missing, another sizable temblor rattled rescue workers who were seeking survivors in amid the rubble. 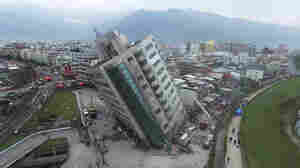 February 6, 2018  The earthquake struck the island late Tuesday night and aftershocks continue to shake up the city of Hualien. 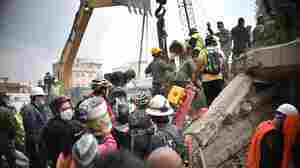 Meanwhile, rescue workers strive to save people from collapsed buildings. December 1, 2017  At least 42 people were injured and several homes destroyed from the magnitude 6.0 temblor that struck northeast of the city of Kerman. November 14, 2017  The quake, with its epicenter in neighboring Iraq, has killed at least 430 people in both countries, according to official figures. November 13, 2017  Officials say hundreds have been killed in both countries and more than 6,000 have been injured. 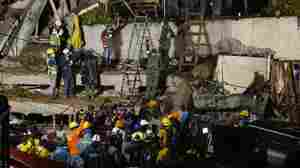 September 21, 2017  A senior official says there is no missing child in the wreckage at the Enrique Rebsamen School, south of the capital, as was widely reported. But an adult may still be stuck in the rubble. 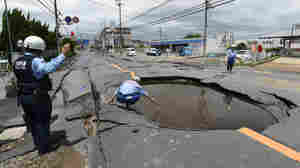 September 20, 2017  A magnitude 7.1 earthquake ravaged Central Mexico on Tuesday, leaving victims across Mexico City and five states. 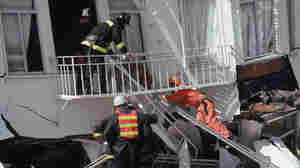 Rescue workers dug through the day Wednesday to find signs of life amid the debris. September 19, 2017  Thirty-two years after a deadly earthquake, a magnitude 7.1 temblor rattled Mexico City and surrounding areas. 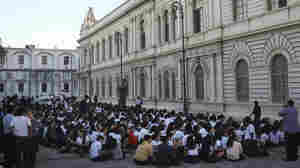 Residents had marked the anniversary of the 1985 quake earlier in the day with drills.